The art of mural painting or 3D wall with 3-dimensional optical illusions is very much sought after and used for a variety of needs, such as for the decoration of café, as a gimmick in an event or exhibition, 3D mural school or as a beautiful home decorating and sweet. 3-dimensional mural wall painting is actually two-dimensional, but made in a way that produces the impression of 3D painting is very much alive and real. 3D mural paintings that are able to give the impression of living and feels his 3D can only be created by a painter absolutely professional and experienced, as well as high art have a soul. Therefore, in choosing these 3D mural services, we must ensure that the painter is capable and experienced in making a 3D mural art is nice and cool. There have been many who feel the thrill of exciting and unique 3D mural art in the cafe, home, room, or their Office. Guaranteed you will feel more happy and comfortable in your room while enjoying the work of painting the mural is a beautiful and charming 3D. Any thoughts will be fresher and you and your colleagues can become more excited again in the activity. Don't miss to have a 3D mural art for the room, café, offices or else your restaurant. 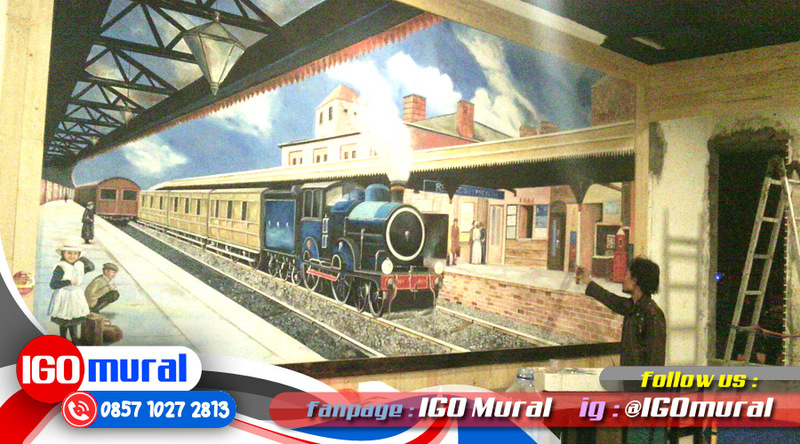 Get professional 3D mural painting services and artsitik with competitive price and best quality only in IGO murals. 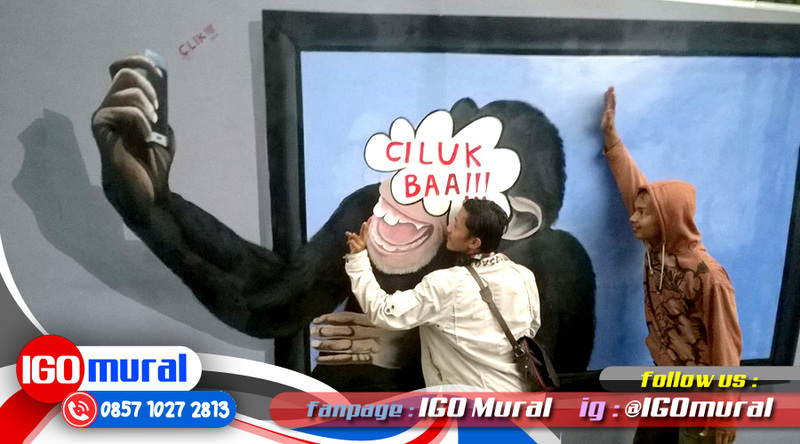 You pick up the phone immediately and contact the team IGO Mural in number 0857 1027 2813 (WhatsApp available) right now!